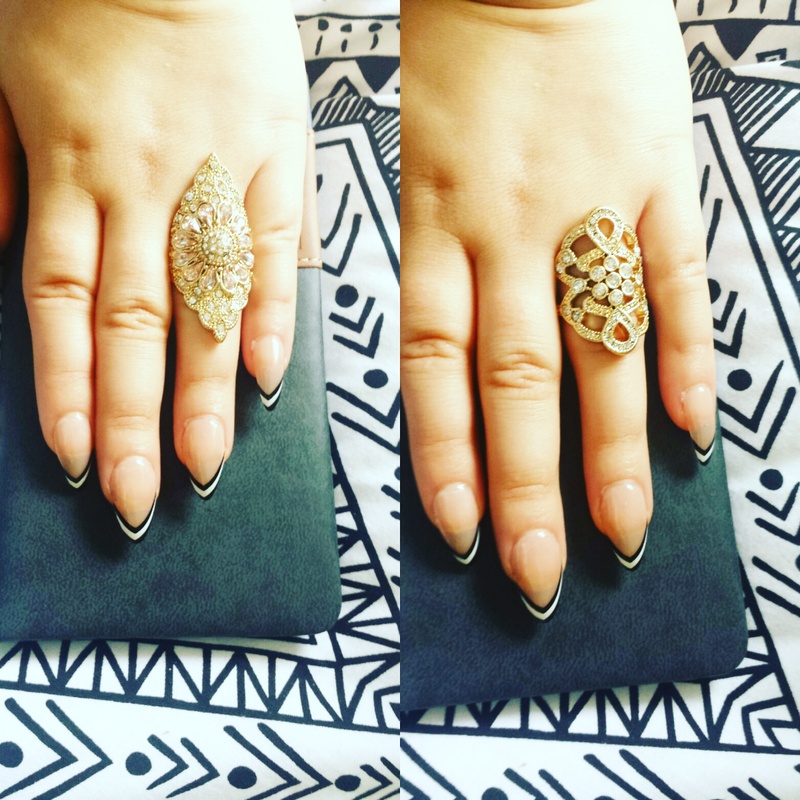 My year in review and engagement ! I have been so slack with the blog lately but for a very good reason because this Christmas I got engaged !!! I don't usually do life pieces on the blog but I realise that there may be some people who could benefit from what I have to say today. 2016 has been an amazing year for me and when I think of how far I have come since 2015 its pretty amazing. Actually I had been in pain for 3 years. In 2015, I was going through chronic pain, my life was pretty hard at that time. I hadn't been able to go to college for months was studying at home trying to scrape by. I hadn't seen friends in about 3 months and I spent my 20th birthday at home with my boyfriend too sore to even talk most of the time. I was just a shell of a person. The hardest part was the never knowing if I would ever get rid of the pain I mean on a scale of 1 to 10 it as definitely a 10 !! I ended up on a list of medications as long as my arm including morphine. The physical and mental effect that has on a person is so hard beyond belief. I was really struggling to cope day in and day out. My family and boyfriend were always by my side. I was very lucky , eventually I started physio for a shoulder injury (which was the cause of the pain), my tablets started to be reduced and I made it back to college. Trying to go back to normal life as a 20 year old was hard and at times nerve wrecking. Would I be in pain once I got to college, could I make plans or would my pain make me cancel. Slowly I started to be able to plan more and I got to see my friends and even make new friends along the way. My boyfriend was my rock throughout all of this ! He spent days with me were we didn't even talk we just watched TV in silence, he understood when I had to cancel dates, or how I missed a lot of family events we should have been going to together. Not to mention the stress watching someone you love in pain day in and day out. But he was there every step of the way. Christmas is a big deal in my family my mam has had the tree up since November 7th and it won't come down until January 8th. For us Christmas is a time to be together and for us to appreciate everything that has happened in the past year. 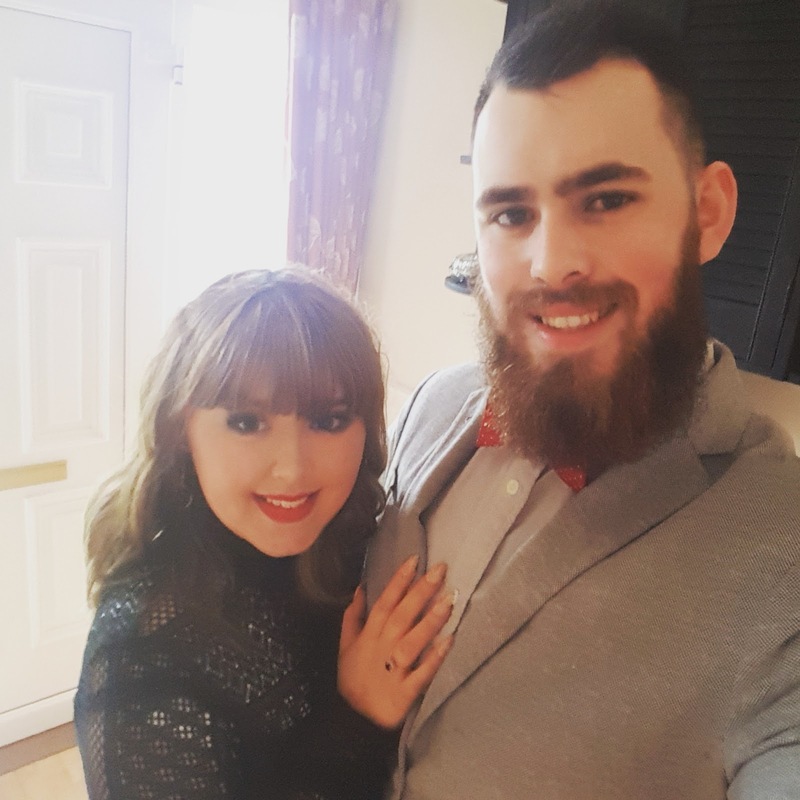 This year for me was extra special because it as the day my long term love of 7 years asked me to marry him of course I said yes !! So this year I am extra thankful for the opportunities I have been given. The moral of the story is even when everything is going wrong and you struggle to keep going just know that something incredible is waiting for all of us and maybe we need the hard times to really appreciate the incredible moments life affords us !! It is offically Christmas !! Hi guys, I finished college today and I am really getting into the Christmas spirit. I got a gingerbread latte in Starbucks (who were playing Christmas music) came home and decorated a real Christmas tree, by real I mean not plastic not real as in I thought Christmas tree's were a myth. So with that in mind I am starting my Christmas themed posts ! Expect at least one a week but now that I am off I will try and post more regularly. 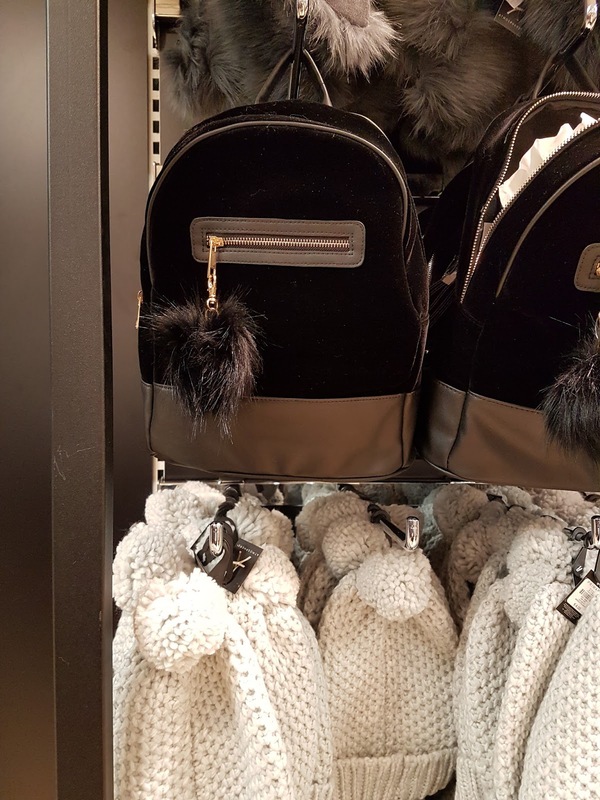 Today's post is as you may have guessed from the title is stocking fillers that for the most part are cheap enough for a college students budget so great for presents for boyfriends/ gilfriends and friends. Maybe your a parent of student in which case student will love these. Warning: majority of these products are from Penney's because Penney's are killing it at the moment ! Penney's are nailing beauty trends at the moment. If you are interested in beauty you will probably have noticed beauty bloggers are raving about Penney's makeup line. ( I will link my favorite beauty bloggers at the bottom). This kit includes all your basic makeup essentials, mascara, a burgundy lipstick with matching lip liner and nail polish and a beautiful eye shadow palette of burgundy and nudes. At only 10 euro this is a great stocking stuffer or a good gift for someone only starting using makeup. Another beauty product but this one is arguably the biggest beauty buy of 2016. Basically they are shimmer oils you can put over tan to give you a holiday glow. For best results put on collar bone, arms and legs. 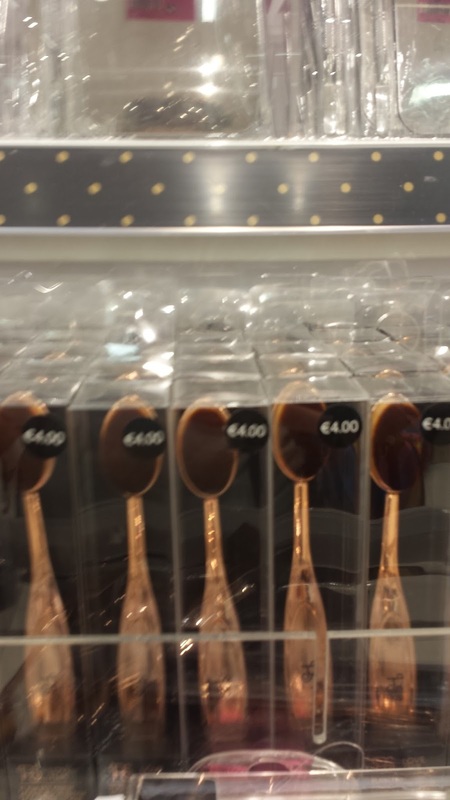 The set is available in Penney's nationwide for only 13 euro. 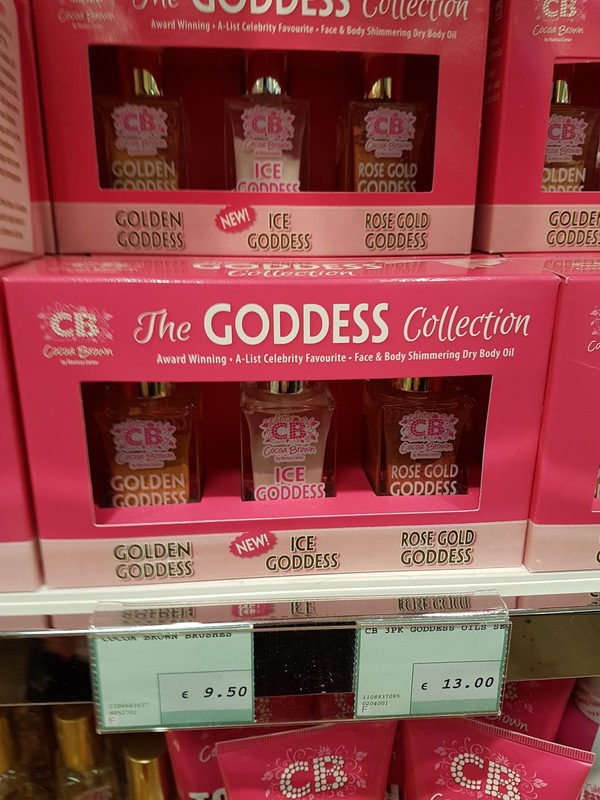 It contains three shimmer oils, the goddess oil which is a beautiful golden colour, the most popular rose gold goddess which is perfect for a summer glow and the brand new ice goddess which is a silver shimmer perfect for that Christmas sparkle. Everyone and there mother is going to get one of these for Christmas so pick yours up soon. If you are a school student or college student everyone needs a good bag. It's something I always hated by for myself. This bag is from Penney's and they have about 10 different styles. It's only 10 euro. Which is by far the cheapest I have seen anywhere. Despite the low price tag the quality is great and will last you. I don't know about you guys but when I'm in college especially around exam time my body is about 75% coffee. I love getting pretty travel cups for gifts and you can never have too many. 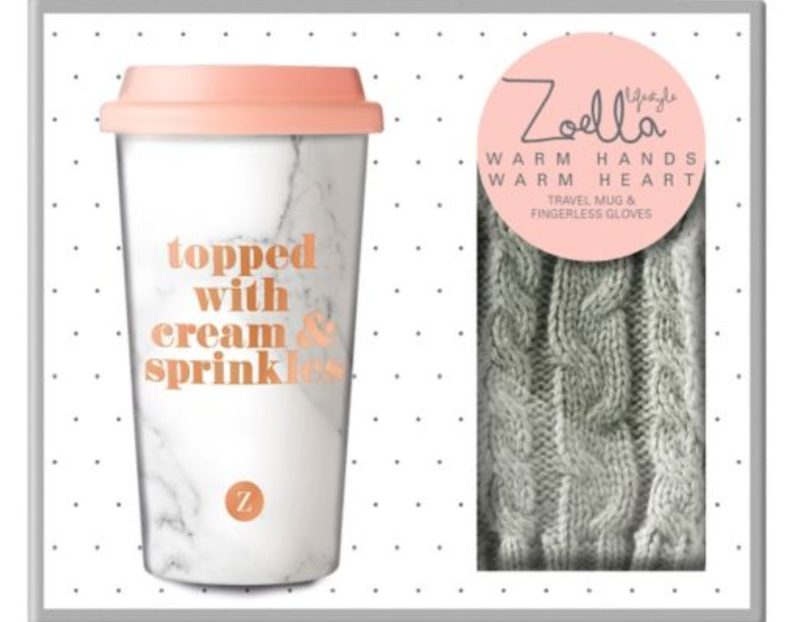 This set comes with a lovely travel mug and finger less gloves. At 13 euro its a great present for friends. Who doesn't love getting cosy on the couch with a hot chocolate and your favourite Christmas movie. 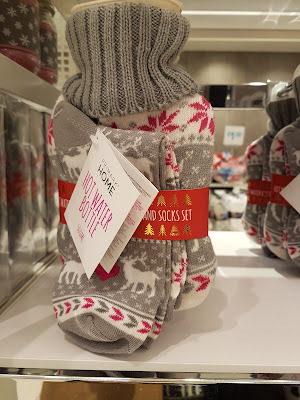 This set includes a matching hot water bottle and cosy socks. It's around 5 euro and available in Penney's. I hope you all get in the Christmas spirit. Comment your favourite Christmas movie in the comments section below. Mine is the grinch a classis. Things to know for open days !!!!! Hey guy's, it's that time of year again OPEN DAYS !! So with that in mind I have a new post for you guys. A list of all the essentials for open days. Stick to this list to get the most out of your experience. Pretty self explanatory. If you don't know when each open day is you can't plan ahead of time which ones to visit. Take this time to mark out exactly what weekend each prospective college is. Try and go to every college you are interested in or even may be interested in. Who knows when you get there you might love what you see. This is the same as above. Basically don't go to open days unprepared trust me you will regret it. I did this at the first open day I went to. Thankfully it was not my first choice because I absolutely wasted my time. I missed the lectures that I wanted to see because I went too late and had no idea what stands I was interested in so I just walked around for a while looking at random stands. When I went to my chosen college DIT I had a much better plan of exactly what I wanted and it was a very productive day. Check out the college website for details on the event. Each course will have a representative stand at open days. Usually there will be a lecturer and student of that course there to hep answer your questions. These are the people you want to ask the questions listed above because they know the course the best. Don't be nervous to ask question's, people will be happy to help. I did this when I was going to open days, and I am so glad I did. Turns out I was not looking at the right courses for what I job I wanted. Thankfully the lovely people in DIT that day were really helpful and guided me towards the course I should have been looking at. A list of questions to ask at open days could be , what society's are on offer, what size are the classes, Does this course give me the opportunity to do Erasmus or work experience. You don't just have to find out about academic stuff ! Take this time to learn what extra's your college offers. For example DIT has a free doctor that for me was a huge plus. Find out what societies and clubs are on offer, what about extra help. Like the DIT maths learning center, it's basically free grinds for DIT students. Enjoy yourself and remember everyone is just as nervous as you are. If you get lost or have a question to ask look for a student ambassador they usually wear big jackets with "student ambassador " on the back. As you may know next week starts the open days for colleges in Ireland. This got me thinking back to my own time in 6th year and honestly how awful it was !! I, as a lot of my friends did, had a horrible time in 6th year. Every time I hear that the exams are starting in June I always feel so sorry for the thousands of student killing themselves every year. Thinking back now there are a lot of things I wish I knew back then. So I decided to write them down for you guys in the hopes that it helps even one person be a little less stressed and feel a bit better. The first thing I wish I knew is that failing is Ok ! I mean it's not that I wasn't told this by teachers, parents and friends. It's one thing to agree with someone but to actually accept with yourself that it is Ok to fail can sometimes be a little bit harder. I can honestly say that it has taken me till my second year of college to be happy with whatever grade I get because I know I've done my best. 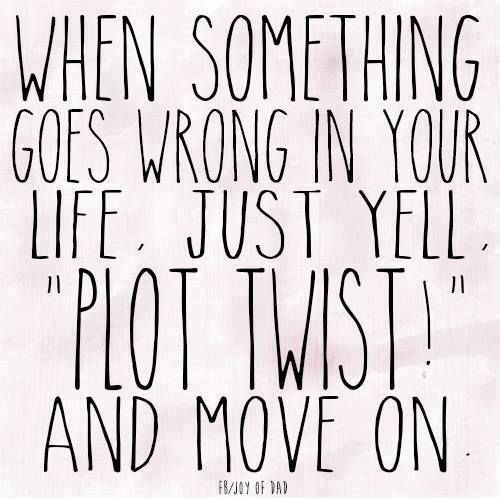 And I think if I had accepted this sooner then I would have been less stressed and enjoyed 6th year a bit more. The second and most important thing is to never ever let anybody tell you that you are not capable of doing whatever you want to!!!! When I was in 6th year I had a guidance counselor who I would go to every week. I wanted to study science and I would go to her with questions about that course like what job could I expect to get from that particular course and every week I would get the same answer. That someone who did only 4 higher level subjects was not capable of getting the points for science. She also told me that because I did ordinary maths I would find it extremely different to study science in college. She told me to forget universities and only look towards FETAC colleges. Now this does not mean FETAC colleges are in anyway less important. ( I ended up doing both). The third is that the leaving cert system in no way reflects your own intelligence. There are actually seven levels of intelligence I won't list and explain them all now but you can easily google them if you wish. I am the kind of person who is very practical minded and logical. I do well in science because I like figures and problem solving. I am not however good and languages. I always did very badly at writing in particular. Einstein said if you judge a fish on its ability to climb a tree it will forever walk around thinking it is stupid. Basically we all have our strengths and weaknesses and we just need to be aware of them and play to our strengths. I realise this post is a bit more of a personal one but sometimes things need a personal touch. I hope that this post will help to inspire you to think proudly of yourself and your abilities and to never judge your abilities based on someone else's opinion. Hey guys, we are half way through the semester now so you should have some indication of how your doing in college. If your not happy with your results but feel like your trying your best you should really evaluate exactly what you are doing. For example I could read ten pages of notes and know them off by heart but if I cant put that information into a question then I don't actually understand it and that's not studying right. I made that mistake for a long time when I was in school and it took me actually sitting down and writing out exactly how I study to see what I was doing wrong. So if you are struggling with your grades and want some tips here are a few of the easiest ones. I understand that a lot of people would be nervous when approaching a lecturer but you shouldn't be. These people are here to help you with your education and what's more is that they want to help. I know I can go to anyone of my lecturers when I am struggling and they will do their best to help me. Maybe you have a specific lecturer you get on well with maybe you could go to them if you are having trouble in a class. A lot of my lecturers will give detailed feedback on reports I have handed up. It is so important to read these points and make sure you don't make the same mistakes again because that will annoy your lecturers. The point of doing these reports is to learn from past mistakes, a lot of times what's in the report is also likely to come up in a written exam. Ok so I sound like a broken record but honestly this is the holy grail to doing well. Lecturers rarely change a paper drastically. So if you can do an exam paper you can definitely do the exam. I always use exam papers. I find exam papers so helpful for classes I miss. I use the questions to show me what topics I missed and the I look that up in books or on Youtube. This is by far the easiest option. Your friends will want to help you but don't be selfish. What I mean by that is people will happily help you if you are confused or need some extra info but they will not help if you just couldn't be bothered to study and expect everyone else to pull you along. Having a study group is a good idea because even if two people sit in the same class the information they retain can be very different. So they can look at the same topic in a different perspective. This is by far the most common way people loose marks. Trust me I have gone up two grades by simply changing my format around. Every lab instructor will have a different style of marking and will look for a different format. Usually the preferred format will be given to you on day one, stick to it !! What I mean by format is reference style, the key paragraphs, spacing, font size and some may look for an abstract. I really love watching must have videos on Youtube or reading them on other blogs. And anyone who knows me knows I loveeeee fall. I mean what's not to love, comfy jumpers, layering clothes, dark lips. 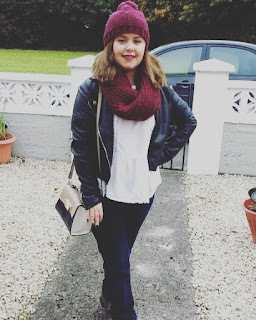 So here are some of the pieces I couldn't live without for autumn winter. 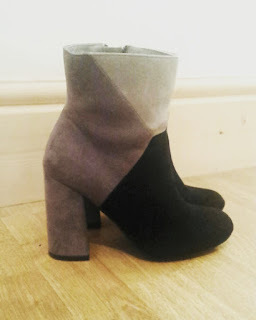 wether its ankle boots or knee highs, boot's are the single biggest statement piece for fall. I live in Ireland so you kind of wear boots all year round anyway because it rains like 90% of time. But when you get into fall you have a bit for flexibilty with your boots, I mean kylie jenner can rock a knee high in July but for most of us that's just not appropriate. So when fall comes I make the most of my more daring picks. Of course I want my boots to look nice but if they aren't comfortable they are not for me. I waited like 3 weeks for penney's to get this boot in and immediately bought them when I could. However I've only wore them once and that is all I will be wearing them because they are the single most uncomfortable shoe I have ever owned. It's like the person who made them hate's feet and wants them to die. ( anyone get that friends reference ;) ). Again this is something that can really be worn anytime of the year. 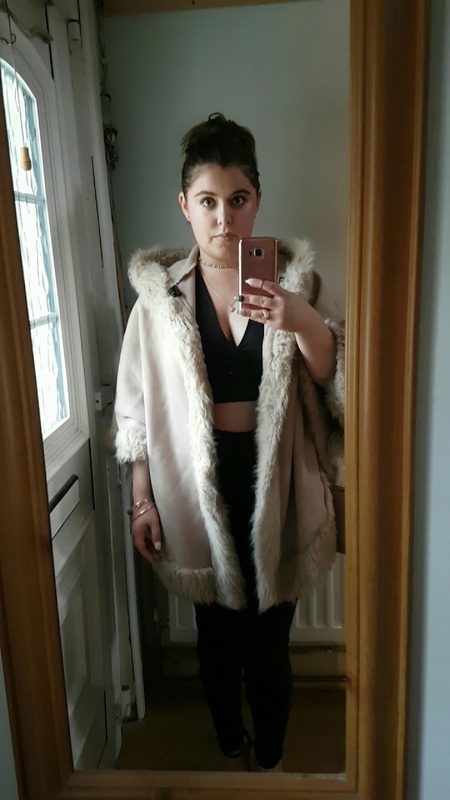 I really wanted a pair of high waist black jeans for a while, to wear with crop tops on nights out instead of freezing in a dress in December !! 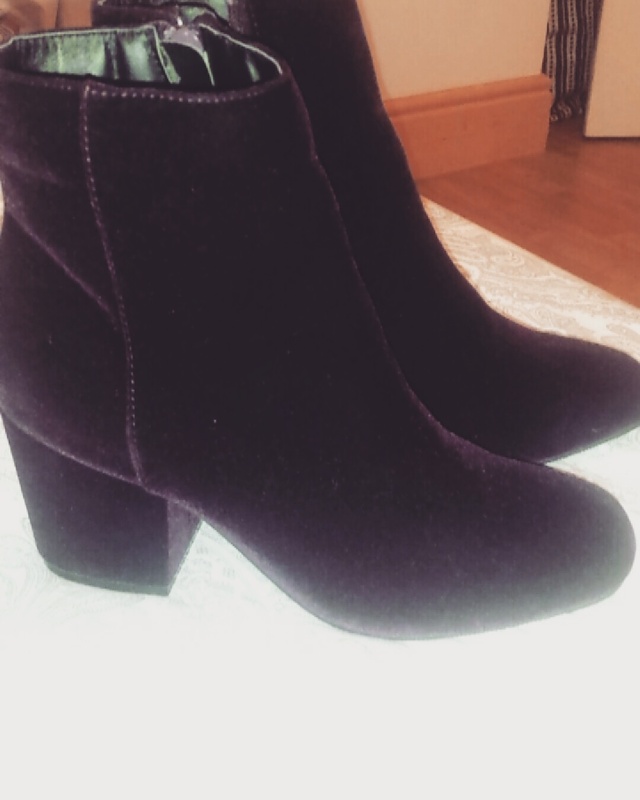 After a few weeks of searching I found a great pair in ZARA for only 25 euro. Ladies I have said it many, many times that a bold lip can absolutely transform a look. If you want to make a statement a bold lip like a burgundy shown in the picture below can really go a long way. I am no makeup artist and I find that focusing on my lip instead of eyes is far easier. You can simply put a little gold shadow and some basic eyeliner on and paired with a bold lip makes it look like you spent a lot of time on it when in reality you just shoved it on on the bus on the way to college . # for the win. Here in Ireland you just can't survive winter without a good coat, FACT. Every Irish woman has at least one. 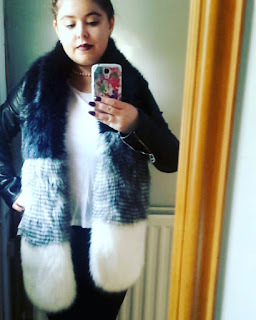 If your like me you probably have that one faithful coat that always finds it's way back into my winter wardrobe every year. My favourite so far is this cape I got as a gift. That was a bit long for a heading and it's self explanatory ha. I personally thing there is nothing cuter than being wraped up in a cute and scarf combo. Not to mention it's super practical. My favourite this year is this infinity scarf from penney's. You know when your in bed and you pull the covers up around your neck and fell super comfy that's exactly what this scarf feels like. I love this when I am in the library studying. Here are some of my favourite's. 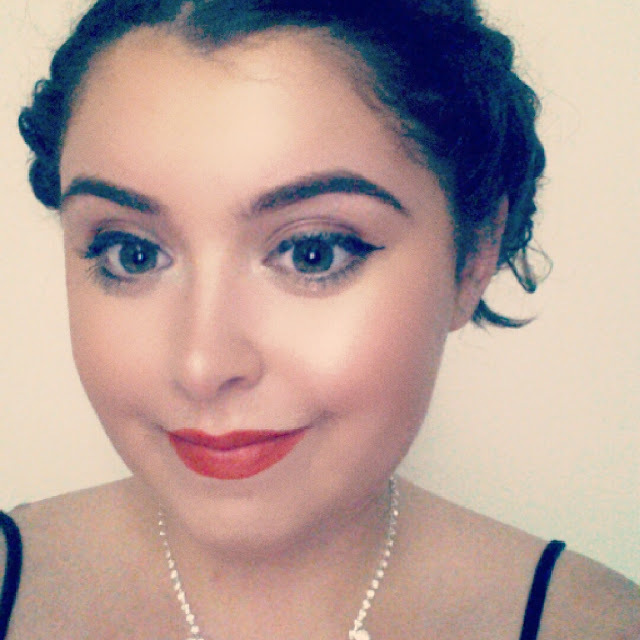 Hello lovie's, My post last week was quite a serious one so today, I thought I would show you my go to fall makeup look and the products I use to achieve this. I am a student so most of what I use is super affordable. 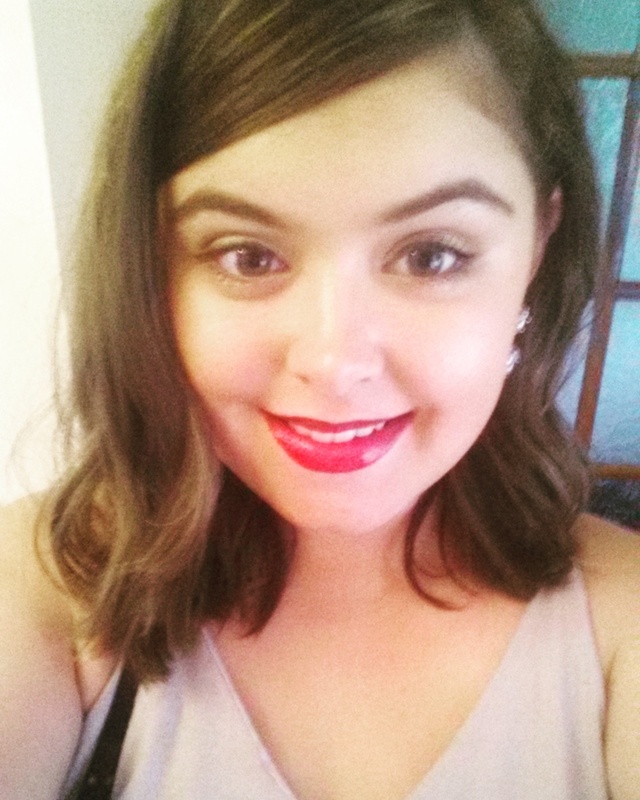 I loooveeee a bold lip, it can really change the look of an outfit and it's super easy to do. I am no makeup artist and so I keep it simple most of the time by focusing on my lips rather than my eyes. This is a great tip for people starting off with makeup or while your still experimenting. This is my go to fall makeup for day or night really ! I have very dry skin so the only foundation that I find works for me is the MAC mineralize foundation. I have used this religiously for the past 6 years. It never fails me !! It is at the higher end of a student budget at 35 euro a bottle. However it does last maybe 4 to 6 months so really it's not that bad. Before I put this on I use Rimmel foundation primer. I discovered this holy grail about 2 years ago and I still use it every day. This is guaranteed to make your foundation last all day long. For concealer I use Catrice pen in number 01. For my every day high lighter and bronzer is the balm palette. I don't generally use eye shadow everyday but when I do I love the revolution makeup, beyond flawless palette. 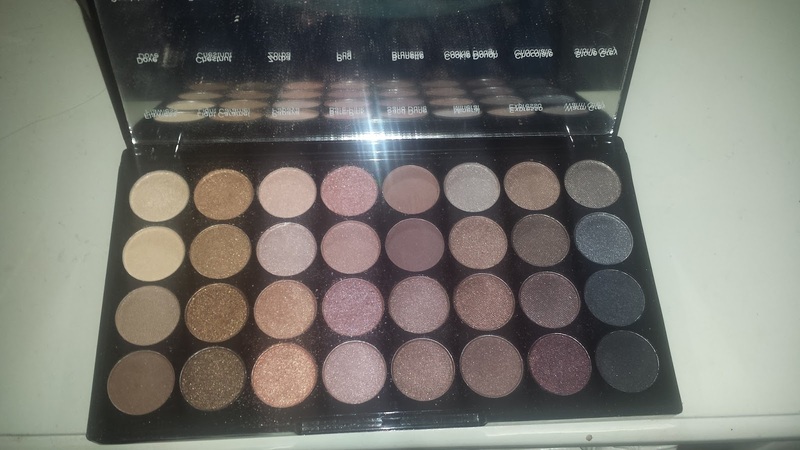 To me this pallet ha the best parts of all three naked pallets. 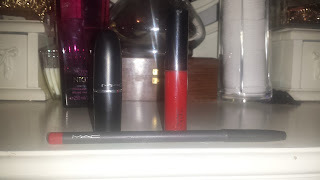 For lips it's exactly what I have mentioned above super simple and easy. In this picture I am wearing mac cherry lip liner and mac Russian red lipstick with mac Russian red lip gloss on top. If you want your lips to look fuller, put some highlighter of white eye shadow on your cupids bow and in the middle of your bottom lip before you put the lip gloss on.Try it it really works !!!!. What to do if college isn't working ? It's that time of the year about two weeks from deadline day. By that I mean the deadline for first year students to change course or drop out of college at no expense. So what do you do when college just isn't working for you ? well thankfully I have a whole list of tips for you. College can be quite different from what people expect. It could be because the course you choose isn't what you thought it would be, maybe the college you choose doesn't fit your needs or maybe college in general just isn't for you. I want to start by saying that by now at least 80% of first years will panic and have the days were they think I'm not able for this, college is too hard etc. That's not what this post is about, its's not about self doubt or your own capabilities. This post is for the people who genuinely don't feel like they want to continue in their course and probably have felt this way for a number of weeks. Here are the steps that you should do if you feel like this, it doesn't have to be in this order and pick and choose the ones that suit you. This is really important for many different reasons. 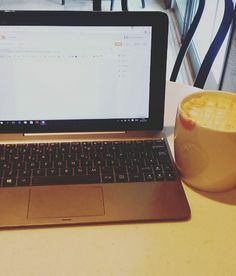 Maybe there is something happening outside college that's affecting your college work, this can be getting you down and maybe all you need is some help and a bit of guidance and encouragement. If this sounds like you, you should talk to a friend, a parent, a guidance counsellor but perhaps the best person would be your college chaplaincy these are the people who are trained to help you with situations just like this, they are usually lovely generous people who really care about your well being. If you are a student in DIT kevin street your chaplain would be Fionnaula Walsh who is one of the nicest people you would ever meet. You can find her email and phone number on the DIT website. So many people feel that they are obligated to at least stick it out until January which can be a big mistake because you then you have to pay half the fees. Obviously each person and their situation is different what works for one person might not work for you. With this in mind any choice to stay or leave should not be made in haste, include your parents they might be able to advise you and support you. If you have questions about your particular course or weather you should be studying a different subject or course I would recommend talking to your year coordinator or a 2nd year student in your course or your desired course. These are the people most able to help with these questions. 2nd year students in particular are really helpful. They have been exactly where you are, probably feeling exactly the same way not too long ago. Before you go dropping out or switching courses make sure you know what you want. Make sure that the subject you thought you wanted isn't just in semester two. Like science is general for semester one and only gets specialised when you get into semester two. Making a big change from say business to science should be seriously thought out. That would be a big change are you sure you know what is involved exactly what kind of science etc. There are plenty of places you can find out this information. For students wishing to pursue a degree in science scienceATDIT is a dedicated Facebook page run by student ambassadors to help anyone with these kind of questions. Know exactly what you want when switching colleges do you want a college that is more practical or works on theory. Do you want a party college or small class sizes ( a bit of both is ideal) or maybe you want a college closer to home, do you want erasmus or work experience. I know this seems like a lot to take in but trust me once you figure this out it will make the next four years so much easier. College is not for everyone and that doesn't mean your not smart or not capable but if you don't love what you do what's the point. You will dread going to class and honestly who want's that. If you really want a career you cant just walk into like accounting there are other options. Chartered accountants and places like this offer internships were you gain experience being paid to work in an accountants but do some night classes. After a few years you end up just as qualified as if you did it as a degree. Maybe you want to do a job that you don't actually need college for you just need experience so take time out work in a few different places till you figure it out. Another option although it technically still is college is to do a FETAC, basically its a level 6 course for a year or two with smaller class sizes and depending on the course you can sometimes go straight into your ideal job. Its fallllll !!!! yay my favourite time of year. 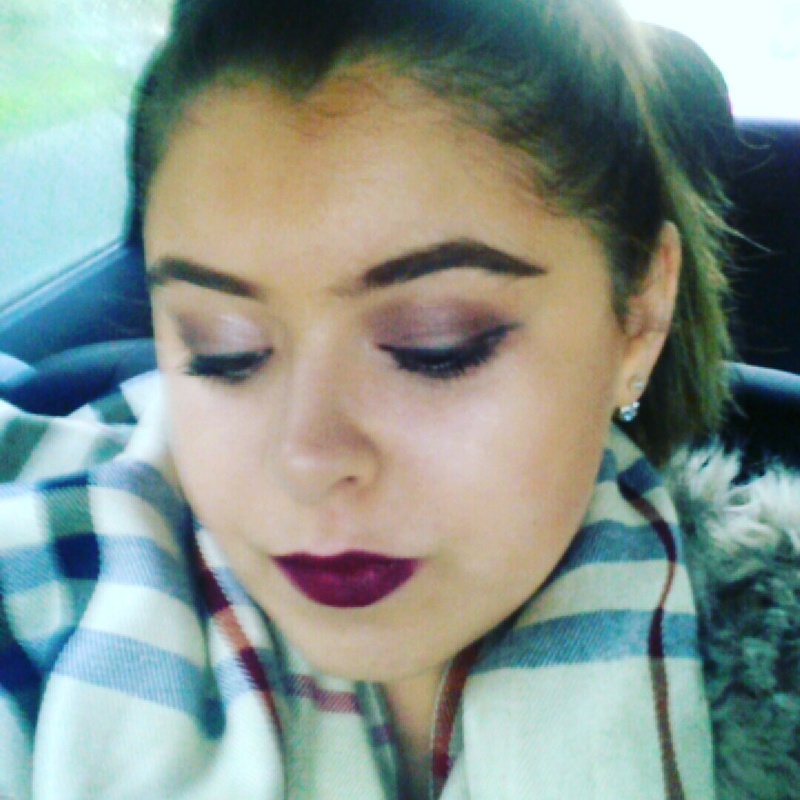 Get ready to see lots more fall fashion and makeup on this page. Fall is so exciting you have halloweeen and after that we have the big C ( its too early to say its name). How has college been so far? If your a first year student and have used some of my tips this year please let me now so I can see what works for you guys. This post is all about studying from home maybe your sick, maybe you live far from college or maybe you slacked off a bit the first month don't worry there is still plenty of time to make up for it. Studying from home can be really hard but sometimes its the only option. I was really sick my first year in college and I missed a whole semester of classes. It took me a few weeks to really grasp learning from home. Some of my lectures put gaps in the notes which made using them for study virtually impossible and some lecturer's didn't put lectures online at all. So I came up with my own system for studying. If my lecturers put up notes I would spend some time re-writing the notes myself in my own words. I still do this now that I can attend class. Being able to explain things in your own words means you understand the concept well. If you've been to college classes you will see that although a lecturer may give out notes for the class their is also a lot they will improvise or add to the notes as the class goes on. Obviously if you can't attend class you may be missing out on some important information. Obviously the easiest thing to do is borrow notes from a friend but if that's not possible there are other things you can do. Also no one likes to constantly be giving there notes to someone who just couldn't be bothered to show up to class. Make sure to give something back when someone helps you out. Youtube is the single greatest invention in life, especially when you miss class. Once you have the name of the topic for example bonding in alkanes, you can then search this and watch lecturers from other countries teaching the same topic. This is great for two reasons, number one is you get to fill in the gaps in your knowledge and number two is you get to see the topic from a different perspective which is invaluable. For those of you who aren't familiar with these two sites they are basically websites kind of like wikipedia but credible that will teach you chemistry topics in the shortest and simplest way possile. I love chemguide especailly whenever I am writting an assignment I will always use chemguide as a reference because it is credible and I know it will explain the topic clearly without adding background information I don't need. If you've read any of my other posts you will know by now that I live by exam papers. If you can do an exam paper you will be able to do the test. Lecturers are creatures of habit and there are only so many questions they can ask. I usually start by writing out all the questions that appear on past papers for a single topic and then I try to fill in the answers by the 2 or third question you will see they don't change that much. It will take a few days to get used to these changes but if you stick with them it will pay off. I hope this helps some people please let me know how you get on trying out these tips. How to beat public anxiety. First of all my apologies for not uploading last Friday but I have been so super busy with college. Who else feels like there are not enough hours in the day.? You science students know what I'm talking about. This post is super relevant for first years and for any college student really because no matter what you study in college presentations are unfortunately a necessary component. Some people wouldn't worry about public speaking but for most of us Its pretty nerve wrecking. Especially if you are a shy person. I don't have a magic wand to get you out of that assignment but I do have some tried and tested tips to help with public speaking. These are tips that I found have worked for me. All presentations end the same way with a standard 2-3 minutes for questions. If no one volunteers to ask questions your lecturer will and trust me you don't want that. Your lecturer is bound to ask you way more in depth and harder questions. The way to get around this is by setting some questions and have your friends ask you them. This is not cheating, we all do this and trust me you will feel so much more relaxed because you already have an answer prepared. Another tip I found relaxed me a lot and I stumbled upon by accident was to focus on a friend in the crowd. You should feel less nervous if you think your just talking to a friend. An important thing to note tho is you have to at least act like your talking to the crowd. Just look back to your friend when you need support. If you go into a class without practicing your presentation, reading directly of flash cards or not knowing how to set up your presentation you will fail ! This isn't school your lecturer is not going to help you set up your computer. It's your job to be prepared. Let's say your someone who touches their hair a lot. Hold a small rubber in the palm of your hand. No one will know it's there but you, when you feel like touching your hair which happens ten times more when you are nervous. Just squeeze the rubber. Another thing nervous people do is read directly off the flash cards. Huge no no shows you don't know what your talking about. Weather your a guy or a girl this is supper important for many reasons. Number one reason if you dress nice you will feel nice and have a confidence boost. Number two I had a lecturer who was so impressed by the fact the people in my group dressed up for the occasion she gave us extra marks. And she also gave extra marks to any group who dressed up after us. For a guy it doesn't have to be a full suit although some people in my class did opt for that. It could be a pair of jeans and a nice shirt. For a girl it doesn't mean heels. It means maybe a nice top or blazer and some jeans. This is one thing I will always do before a presentation. To get motivated I do two things. Number 1, I listen to super up beat motivating music it could be some beyonce, eminem whatever gets you pumped. 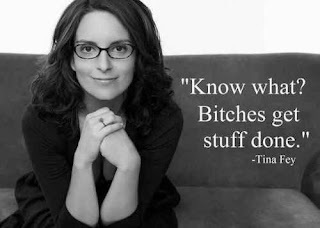 Number 2, I look at inspirational quotes from women in power Michelle Obama, lady gaga or my favourites Tina Fay and Amy Poehler here are some of my favourites. These tips will help you to feel less stressed and more prepared. If you want to see some tips on how to do group projects comment below. I have done quite a few presentations, public speaking and meetings with committees and I have found that every time I do it gets that little bit easier. Have confidence in yourself and remember that the other people n your class are just as nervous as you are. If it doesn't go like you planned or you get some particularly harsh criticism just leave that negativity in the class room. One bad presentation does not define you don't let it make or brake you. Surprise surprise !! I know I said that I would only be posting on Friday's for a while but I had some extra time and was really feeling motivated to do a post for you guys. So here it is My September favourites. This is a new kind of post from me, I'm not really a beauty blogger and I don't usually write about beauty products because generally people like to hear those kind of reviews from makeup artists. But I have been doing a lot of posts about college life and the start of college for first years. So I thought you might enjoy something a bit lighter because no one wants to read a big long post about college on a Sunday. I don't want to read about college at all on a Sunday !! Of course as with all my beauty/ product related posts I like to keep them student budget friendly and by this means only including products that I cannot live without, will benefit your student life or are cheap and cheerful on a student budget because lets be honest college is very expensive and making your money go further is the key to success. First up is the Nyx setting spray. This is my absolute favourite product this month. 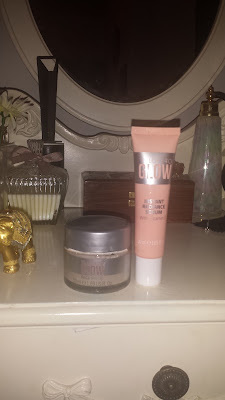 If I could only have one product this would be it ( well Obviously its no use without the makeup under it ). There are two types of spray a matte spray and a dewy spray. 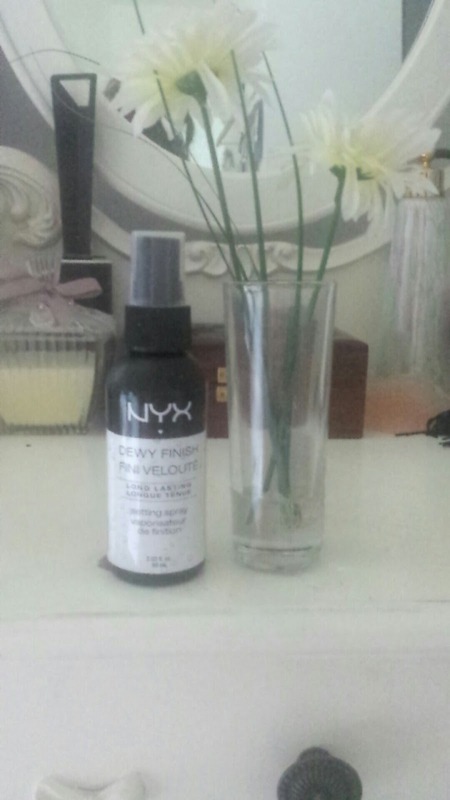 For the summer I have been using the Dewy Spray as it gives a lovely summer glow. For the winter I will probably change to matte. I use this in the mornings and I am guaranteed that my makeup will last all day. These are two pictures from my holidays to show the dewy look you get from this product. 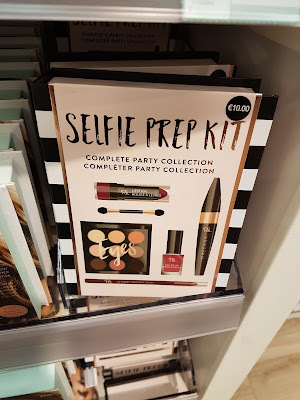 The next product is also an NYX product. I do have a slight obsession with NYX but it combines my two favourite things colour and being cheap. 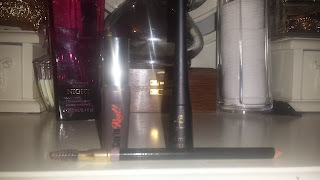 One of my favourites is the vivid brights eyeliner collection. 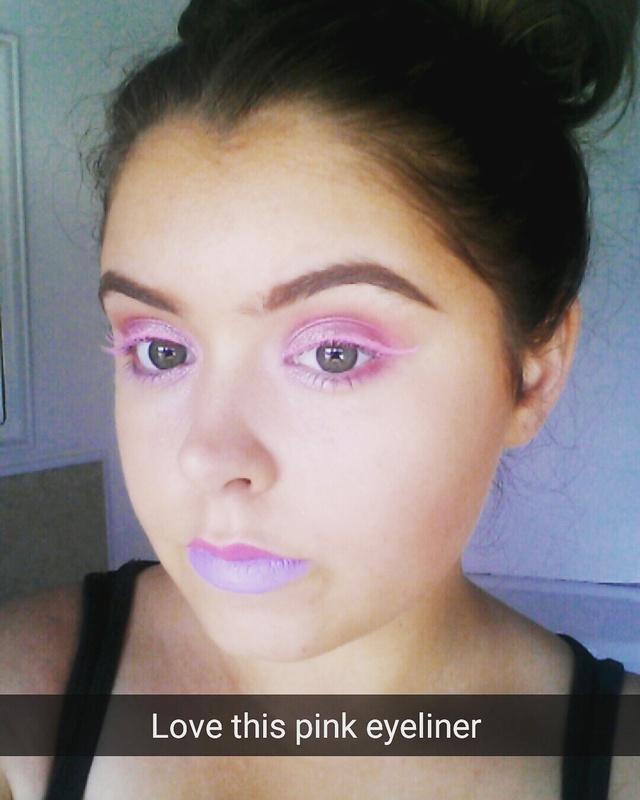 The pink liner in the picture below is called ... and its only 7.50 in boots I mean come on that's amazing. 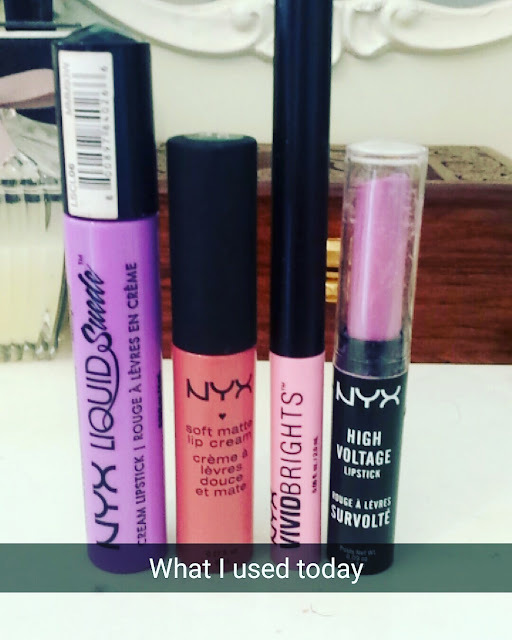 I also used it as a mascara for my top lashes and used NYX purple mascara for bottom lashes and purple and pink lip gloss. I just love this colour and I am trying to use as much colour as possible before the summer is over. My next September love is the Cocoa Brown rose gold body oil. Now I am certainly not the first person to highlight what people in the beauty industry have referred to as the ' Miracle Product'. In fact every blogger I follow in the last three months has a bottle of this. It is the second oil of the franchise the first being cocoa brown gold oil. This one is different as it has a brown tint to it. It works well over a tan but be warned I do use a far bit of product in order to get the affect I want. The other thing that I found amazing was the scent it smells like holidays not curry powder like some tanning products. So I can wear this for college without people getting hungry for lunch. 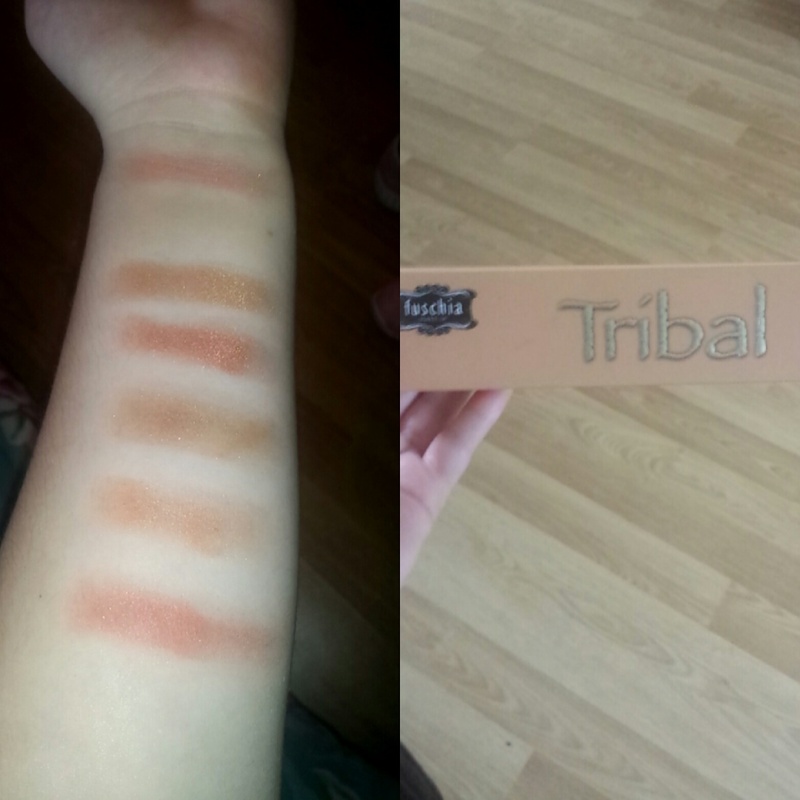 Number four has to be the Fuschia Tribal palette. Here's why I love this pallete it is full of gorgeous red and orange colours. 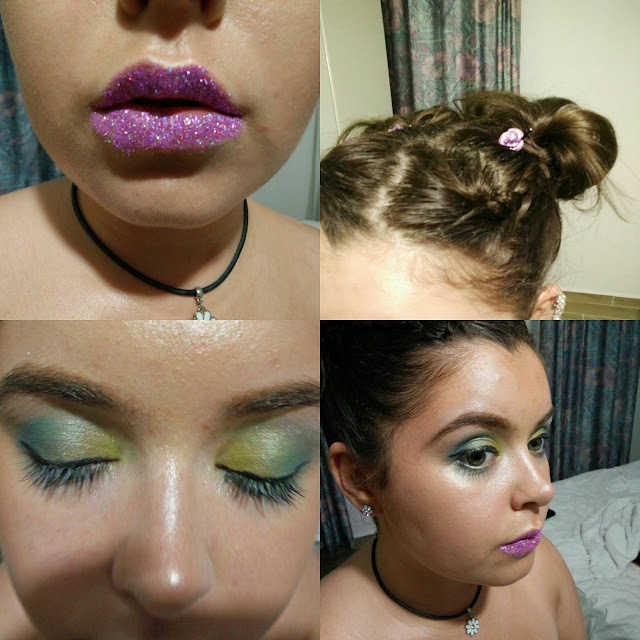 Paired with a blue eyeliner it was major favourite for festival goers this year. But paired with lovely neutral browns it is set to be a major staple in your autumn/winter makeup bag. Its so super pigmented. Penney's false nails I mean where do I even start. I feel like Penney's are just killing it this month with all these beauty items I mean from rose gold makeup brushes, there ps. pro makeup range and everything in between. 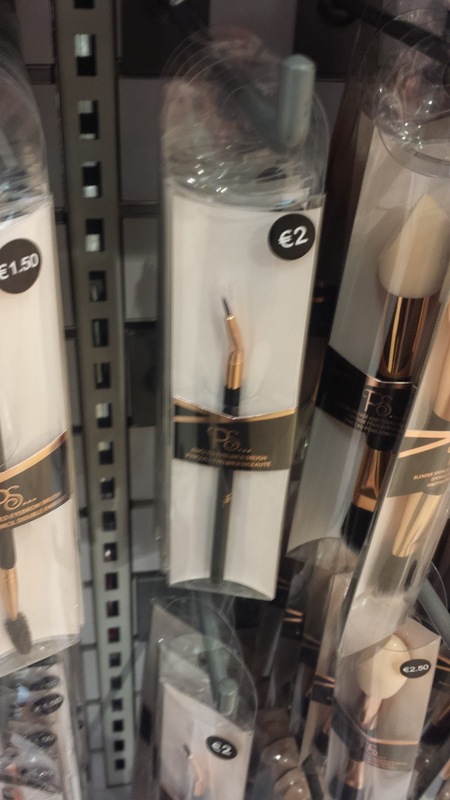 Bloggers all over Ireland are obsessing over penney's beauty range. 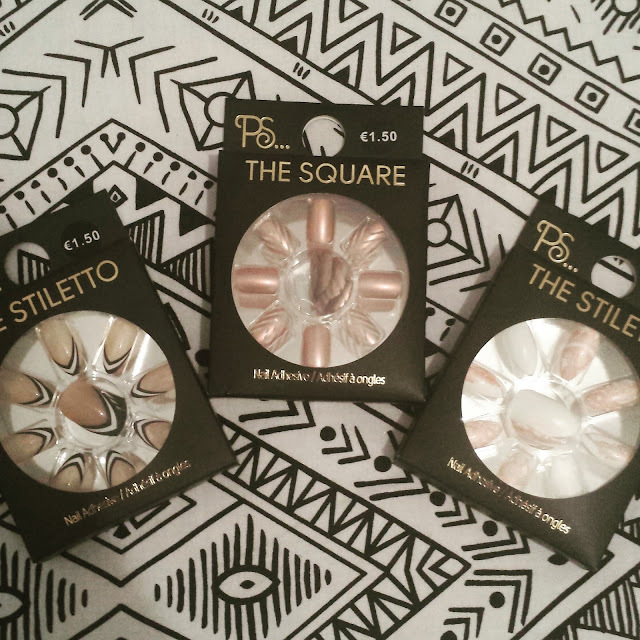 I however am obsessed with their nail range, false nails and nail varnish included. I love that they are cheap as chips at only 1.50 euro. At that price I don't care if one brakes or falls off but that's not even a problem because they stick so well you get about 5 days out of one pack. These are just some of my favourite's this is month. I also love the metallic varnish and at only 2.50 that's awesome, and well within a student budget. I realise I use the word love a lot in this post and I know from school that that is terrible grammer and I should switch it up for like or am impressed by but those words just don't do these products justice they are all amazing and I LOVE them all !!! Let me know what words you guys use instead ? I know I've been MIA lately, you've probably noticed that I haven't posted on Monday like I usually do, but I do have a good reason. I started back to college this week and my schedule is pretty hectic as most science students can imagine. Between a really busy class schedule and lab reports (5 per week) I just haven't had time for blogging much. Rather than post two half arsed posts a week I have decided to dedicate what little time I do have to doing one good post every Friday. hopefully I will have a better handle on things by October and can go back to posting twice a week ( here's hoping). The topic of today's post is a little bit different but since societies week is right around the corner I have decided to do a feature post on my favourite society the Physics society, Don't run away yet it's not all physics !! I for one am not a physics loving person. Me and physics have had a difficult relationship for the past three years. So I completely understand if you feel like this society would not be for you but let me tell you why you should join ! When you get to college particularly first year you will spend most of your classes with people studying the same thing you are. For instance I studied Chemistry so I spent all my classes with other chemistry students. Most people will only study one science subject for the leaving cert which means most of us have a really hard time with physics when they get to college. And since your all chemistry students you cant really help each other that much. Societies are a great way to meet people from other subjects that you wouldn't normally be paired with. Being part of the physics society means I have made friends with a lot of physicists who I can go to for help with physics and likewise I can help them with chemistry. Besides the obvious fact that you now have friends who can help you there are also a lot of perks to being in a society.... like a lot !!! I've already outlined this before in a previous post. (June archives) This post is specifically for Physics soc. 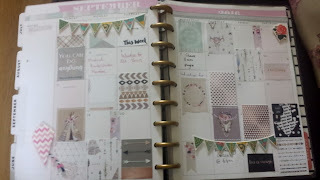 So each month is a different theme. The first month (October) is Careers month so workshops will be helping students with skills to get a job and talks for people in industry. There will be ice breakers for all new members and an AGM to outline exactly what events will happen when ? I saved the best for last the main event for this month will be Go Quest, This is 27 puzzle rooms, that will test your physical mental and ... skills. This is one not to be missed ! oh did I mention events are free...score ! 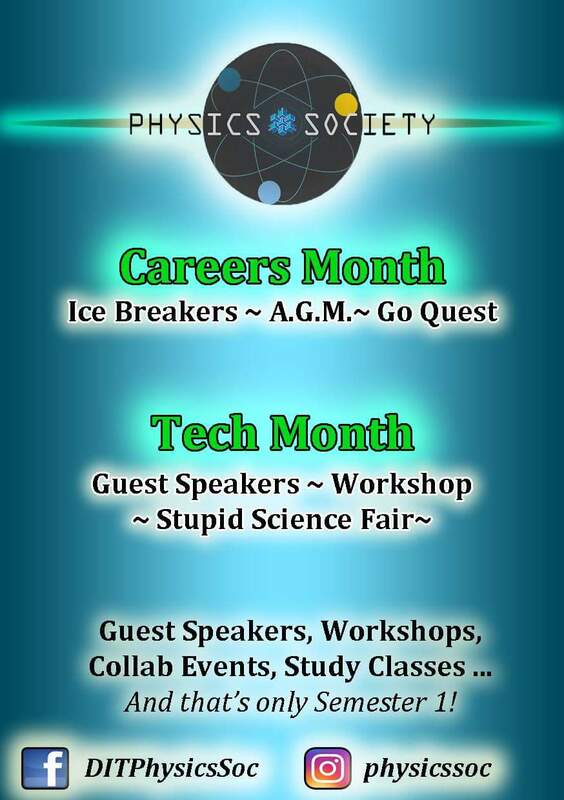 The main event in Tech month (November) will be the stupid science fair. Yes it is exactly like it sounds an entire hall full of the simplest and most fun experiments you can think of, Mento's an coke got it, model rockets and egg drops ... GOT IT ALL. The aim, to show that science can be fun and interactive for people of all ages and genera. And all of this is just semester one ! You'll have to sign up to see what goodies are hiding in semester two. For more information check out the physics facebook page. I'm sorry that this post is a day late but college started back this week for all first year students in DIT and as a student ambassador I have been quite busy. It's so great to get to meet new first years and help you guys with all of the questions I had in first year. This post is something that has been requested and so I do hope that it helps people. These are just some tips that I find help me when I lack motivation. This really does work. A lot of people find that they study better when they listen to music. 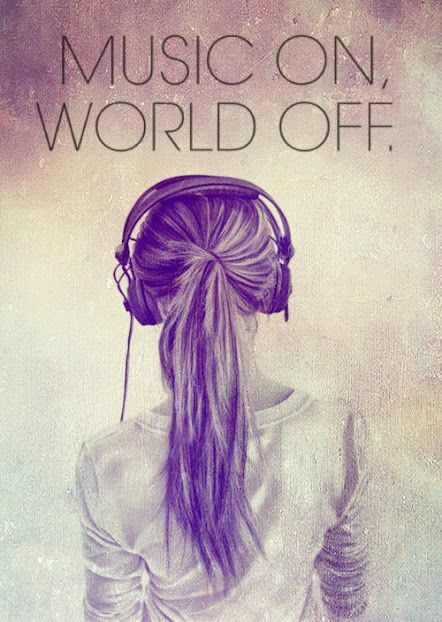 And ts the same for working out. Telling someone about your goals is the best way to make sure you will achieve them. People will be asking you how you got on with your goal and you don't want to say you haven't done it and it will remind you in case you forget. This is one thing I have to do to remember everything that I need to get done. I write lists about lists !! 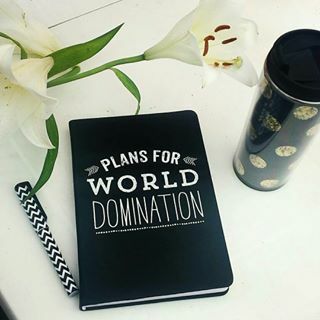 It's so simple but having everything you need to do wrote down can really help you visualize how you are doing. Each time you cross something off your list it will give you the sense of accomplishment and the motivation to keep going. Whenever I need to feel motivated to exercise, study or make my self a priority I use pictures of inspirational quotes. I print out the pictures and place them in specific areas. If I want motivation to be healthy I put fitness pictures on the wall across from my bed so it's the first thing I see and healthy food on my fridge. If I need inspiration to study I put inspirational quotes on my hard backs. If I nee inspiration to make myself a priority I make it my screen saver. This kind of work's like number two. I know I always have the best intentions to study. But sometime's you feel tired or your not in the mood. If you schedule a time to with a study buddy you are more likely to go because you won't want to cancel on the other person. You can also help each other learn information better and ask each other questions. I do this ALL the time. Every time I work out I put a euro in a piggy bank at the end of the month I use it to buy a new pair of runners or something health related to get me motivated to get fit. When I study I usually use coffee or my favorite food to motivate myself. How to get more out of college. There is more to college than getting good grades. And its important to know this. Probably the most important part of college is to socialise and this can be done in a number of ways. Don't worry if you are shy or a bit of an extrovert. Obviously out going people will find it easier to mix at first but honestly making friends isn't hard. Another really important thing to note is that when you graduate and look for jobs the first question you will be asked is what did you do in college ? This is where you answer that you were in clubs and societies or volunteered. It does not mean tell them about your great grades because you sat at home every weekend studying. Employers want people who can communicate and be part of a team, all life skills you learn in clubs and societies. Joining a society is one of the best things you can do in college. Societies are a great way to make friends especially for first years. You get to go on great days out either at discounted prices or better yet free. Societies also arrange guest speakers who are experts in their field to give talks on careers and life skills. They also run workshops to help you increase your skill set such as workshops for Cv writing. Being involved looks really good on a Cv. Most employers won't even consider people who have no extra curricular activities. Getting A's in college is great but it isn't everything. This is a great way to help others. You can do food drives for the homeless, old folks dinners and community clean ups. Your college will have a website with a list of different options so you can choose the charity that's right for you. Believe it or not you can have a lot of fun and you get to help others who need it, which should be the reason you volunteer in the first place.Their are also awards given out at the end of the year which you can then put on your Cv if you wish. Another way of volunteering is by helping teach extra classes to first years. Like extra maths classes. For those of you who aren't familiar with the student ambassador programme it's basically a group of students who represent the college in their respected field. My college for example has 10 student ambassadors for science who represent the college in maths, physics and chemistry etc. This is a great way to meet new people. As well as helping to first years settle in and encouraging future students. You get to represent your college at open days and answer students questions as well as mentoring a first year. College is the one place you will have countless options for nights out and other opportunities. Freshers week isn't really a week its two. The first two weeks of college to be exact. This time is designated to helping students get comfortable and make friends by basically going out together. Such as paint parties freshers balls etc. They are super affordable nights out designed only for students. It' also a great way to meet people outside of your course.So do go to at least one freshers event. Don't worry its not entirely alcohol related so their is something for everyone. How do you make friends your first week in college ? It doesn't matter whether you are a mature student or an eighteen year old we are all worried about this, but it doesn't have to be terrifying. Basically if you want to make friends and you put yourself out there you will make friends. I wasn't the most shy person in my class but I wasn't necessarily the most outspoken either. Of course people who are naturally out going will find making friends easier than shy people but trust me even if you are really shy its really easy to make friends. Keep in mind everyone and I mean everyone in that classroom just wants to make a friend this is both good and bad. The first day all anyone wants is someone to talk someone, no one wants to sit in the corner alone, because of this you will immediately cling to the person sitting next to you. You could get lucky and find your best friend but nine times out of ten they are people you would not usually choose, you usually don't have any interests in common. So don't let this put you off. This is one of the best ways to make friends because you clearly already have something in common it could sports or business any society you like. Most societies will have a special event just for new first years at the start of the year so that no one feels nervous. Societies arrange special talks from guest speakers and events like paint balling and trips abroad. Their is also places for first year's on the committee of the society. This gives you a chance to organise events meet new people and build your CV. This could be as simple as asking how are you ? or bonding over mutual dislike of lecturer or subject, trust me this one works all of the time ! It could even be as simple as just giving someone a compliment. Freshers week is party week. Basically different societies and clubs will organize party's and events for the first two weeks. There are loads of different events so something for everyone. The party's are full of first years and a great place to make friends with people that are not just in your course. getting a job hen your in college is a great idea. College is expensive and so having no job isn't really an option. This doesn't have to be a bad thing tho. Pick a job in an area of interest are you studying science maybe work in a pharmacy, like pets work as a secretary for a vet. It's also a great place to meet people ad make friends. I love watching night time routines on Youtube and reading them on blogs I follow. Its probably one of my favourite posts to read. Partly because I like to see what products people have found that work for example oily or dry skin and partly because I like to know I'm not the only one who is a creature of habit. 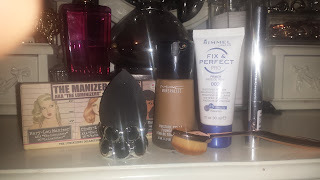 I wanted to do this post for a while but I didn't just want to do a standard night time routine because I wanted to still connected it with the blogs focus. The blogs focus being that its wrote by a college for college students so it needed to relate directly to college life. So I thought I would do my Sunday night routine. This is everything I do to get myself prepared for the week ahead. The first thing I like to do is shower and wash my hair. I use herbal essences shampoo because I love how it smells like holidays. I use the conditioner from hair colour boxes because they really nourish your hair and make your hair soft. I am loving the victoria's secret shower gel at the moment because it is sweet. When I get out I use Penney's ps glow face mask. This is a really deep conditioning mask that takes all the dirt out of your pores and then I use the ps glow moisturiser. (it really makes your face glow). 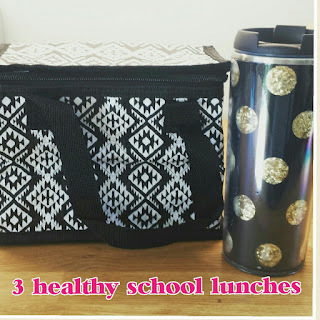 These products are great for students because they wont break the bank. 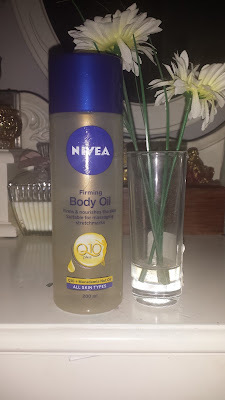 I also use Nivea firming body oil. Its great for any blemishes and stretchmarks or uneven skin and at about 5 euro a bottle ( in Llyods pharmacy) its a bargain. Then I will brush my teeth I swear by the Beverley Hills charcoal tooth paste. It is amazing for removing stains from your teeth ( I love coffee). Basically the charcoal will stick to stains but not to enamel so its perfectly safe for sensitive teeth. Its about 3.50 euro in any chemist or supermarket. 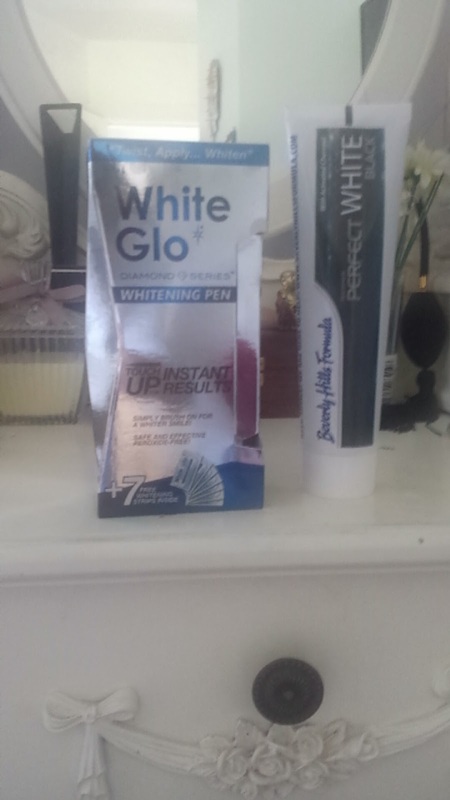 I will then use My ..... teeth whitening stripes. They are amazing !! Obviously I don't use the trips every night . The other nights I use the polish gel. 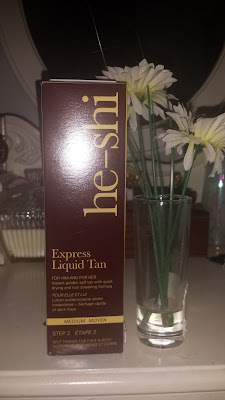 The final thing I do before bed is to put on my He Shi self tanning oil. This product is amazing !!! It's the only tan I will use. The oil... you put on at night and leave it till the next morning to wash off the I get a lovely tan that will naturally fade over 7 days without being patchy. It's not super dark which is what I love it looks like you've been on holidays. The best part is its only 20 euro (in Llyods pharmacy) and since you only need to use it once a week the bottle goes a long way. When you get to college you will quickly learn that it is very smart to make your own lunches. One because it saves a lot of money and two it helps you stay healthy. 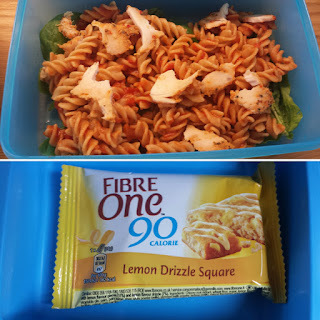 I'm not actually back to college for a few weeks but making these lunches to show you guys is keeping me eating healthy, so thanks for the help. 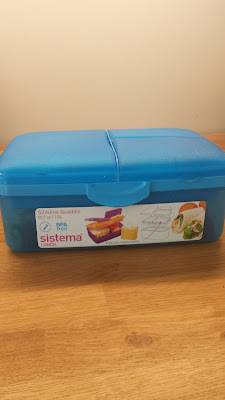 I like to use this multi-part lunch box that I got in Homestore and More, you can also get them in Woodies. 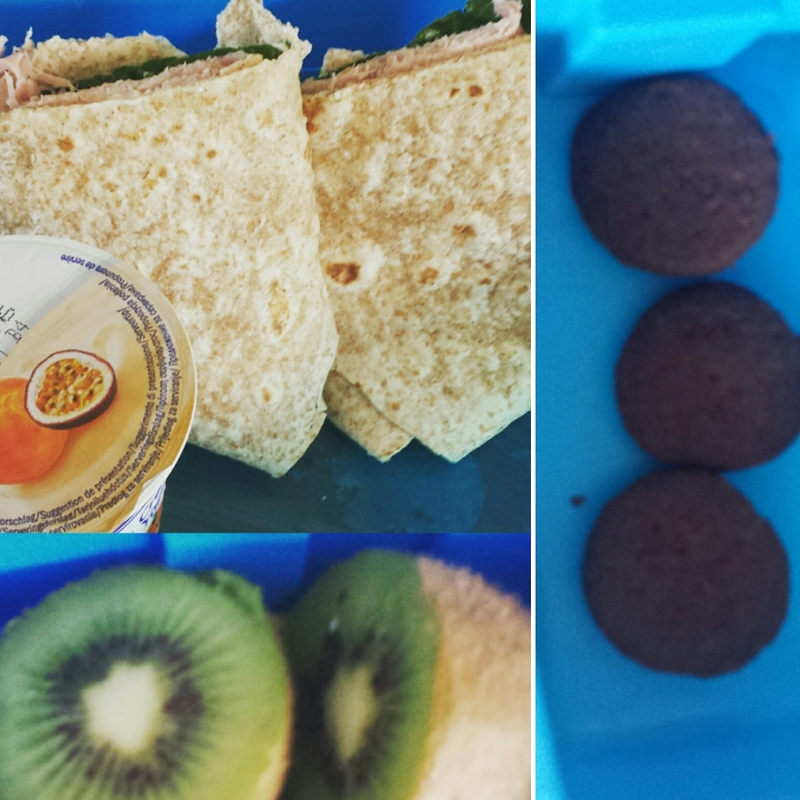 These kids of lunch boxes are great so your food doesn't mix, like if u have a past salad and a brownie or something. 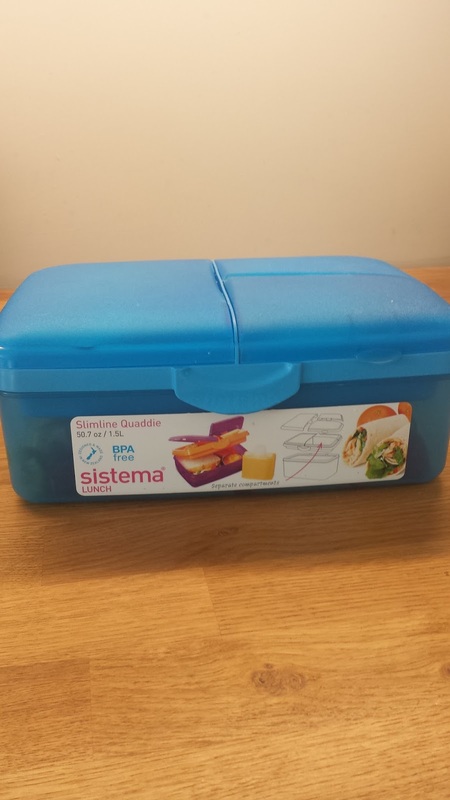 It has 4 separate compartments, one large on the bottom, one medium size and two small compartments. All of these can be made the night before and only take a few minutes to make. I am very conscious that students like me don't have a lot of time in the mornings and that's why so many of us pick up something while we are out. Its usually convenience food at high prices and not very healthy. 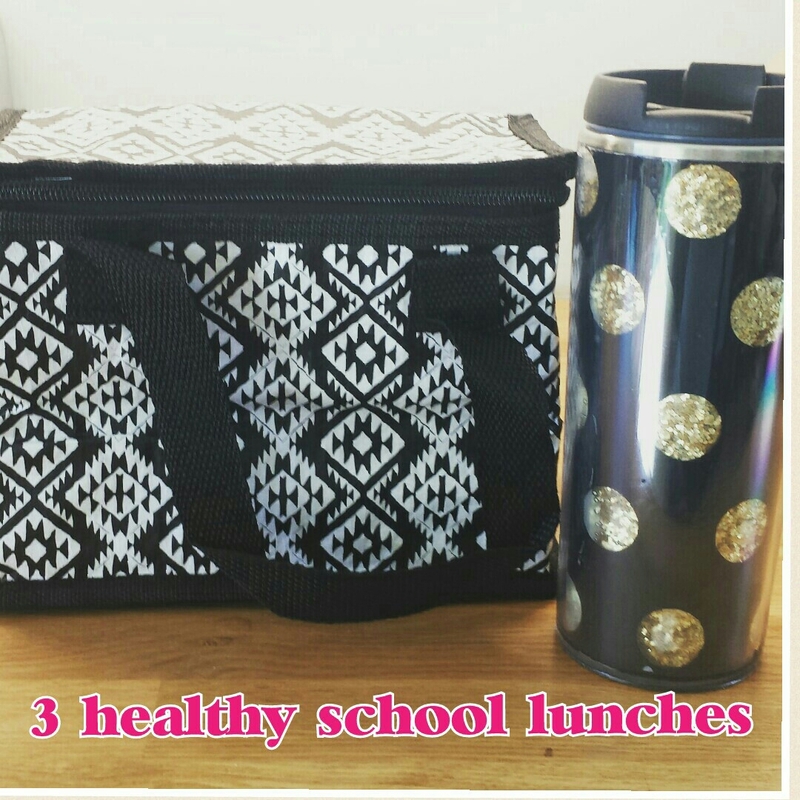 All of these lunches can be made the night before or will take about 5 minutes to make in the morning. This is super easy you can make it the night before to save even more time. Its just a simple wrap of spinach, ham and mayo. A yogurt and kiwi and for desert my cookie shots. These cookie shots are my favourite treat their only 18 calories each and taste exactly like chocolate chip cookies. A simple pasta salad: pasta, pasta sauce I used the jar of sauce to save time, peppered turkey and spinach as the base of the salad. 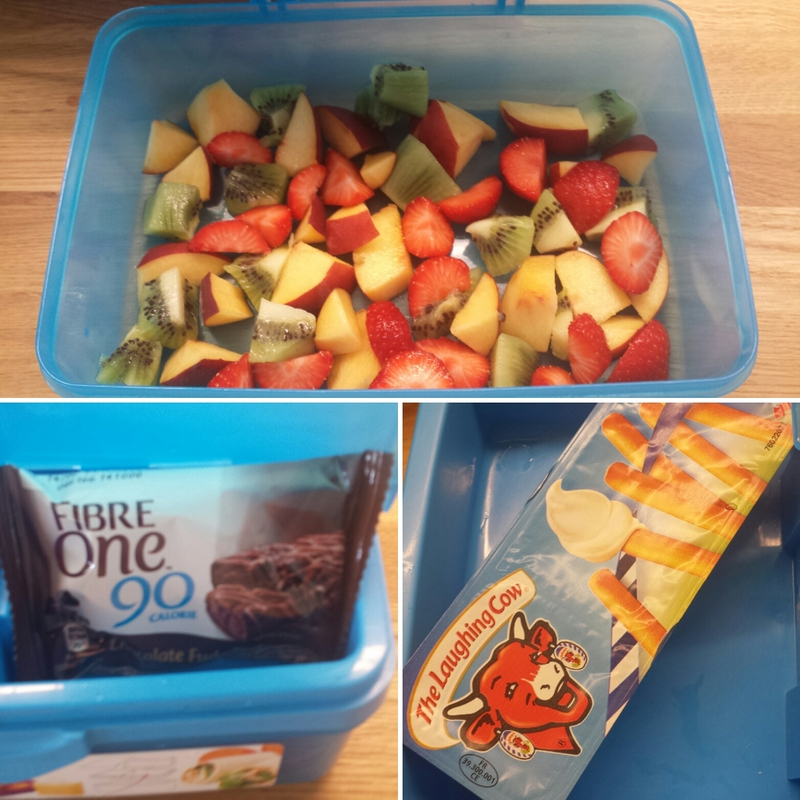 I put some strawberry's and a fibre one brownie for desert. Super quick and simple, you can make this the night before to save time as well. 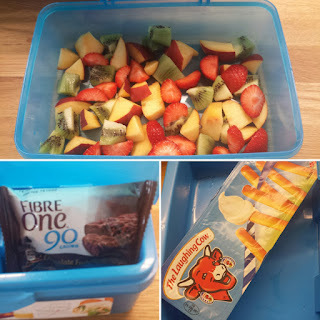 A fruit salad, dairy lee dunkers (not so healthy) and a fibre one brownie. If you liked these tips don't forget to like my Facebook page, Just click on the Facebook tab above. Okay so it might take you a bit of time to find your way around campus the first week or two. But it's really something every new student should know because it wastes the most time. Luckily I have a few tips to help you along the way. Most colleges will have an open day a few months before college starts for prospective students. 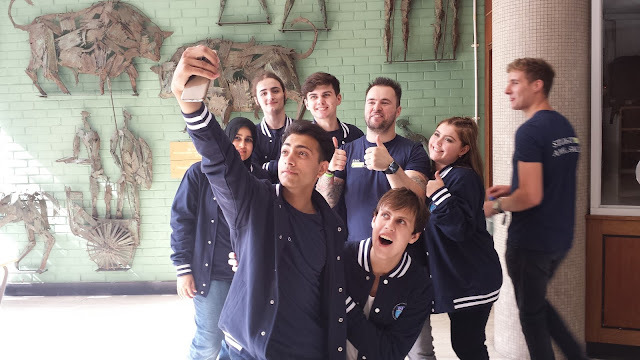 This gives students a chance to ask some really important questions about their prospective courses and a lot of colleges also arrange tours of the campus. Other colleges help by putting maps into the itinerary or welcome packs. If in doubt and it's probably the best tip, find someone who's in your class. These people will have the same class timetable and need to be in the same place as you, problem solved. This is really important! This will be your first point of contact for any problems or queries you may have. First of all you should know each of your lecturers full names and emails. You can find these on your timetable or in your college directory. It's important to maintain a good relationship with your lecturers. Your lecturers can play a big part in you getting settled the first few weeks. Especially if your struggling. Use the first few weeks to get acquainted with your college's facilities. Some college's provide extra facilities such as an on campus doctor. Other college's depending on the classes thought may provide facilities such as orthodontics and optometry. My college for example teaches optometry so students can avail of free eye tests or even get paid to get an eye test. This is a great way to earn some extra cash (so long as you don't mind being a guinea pig for an hour or two). Almost every college has the basic facilities such as a library (very important), student union and plenty of societies. I cannot stress how important this tip is ! Timetables are given out in welcome packs or can be downloaded online from your college website. Your timetable will tell you what class you have, at what time and who your lecturer is. Depending on your course not all classes start together, so make sure to check what weeks each class runs. Your timetable will also show you when you have free periods. An hour break should be used for lunch. Anything over an hour should generally be used for library time. You could use this time to catch up on assignments or study.